The River Dargle (Irish: An Deargail, meaning "little red spot", so called with reference to the prevailing tint of its rocks) rises in the Wicklow Mountains of Ireland on the northern slopes of Djouce Mountain and flows over the highest waterfall there, falling 121m (398 feet) at Powerscourt Waterfall. It then flows through the Glencree Valley where it is fed by the River Glencree before flowing east for a further 14 km (9 miles) to reach the Irish Sea at Bray Harbor. The area known to visitors as Upper Dargle, situated in the shadow of the dominant N’Hlosane Mountain in the KwaZulu-Natal Midlands, is as rich in settler history as it is in natural beauty. It was here, in 1847, that the Irish settler Thomas Fannin bought the farm Buffels Bosch. He immediately renamed it “The Dargle”, on account of its resemblance to the country surrounding the Dargle stream, south of Dublin from where they came. The naming of the area, “The Dargle” in the Midlands, was also attributed to Thomas Fanning. It was one of the Fannins who sold a piece of their farm to Alan Ross, who then named it “Beverley Farm” and who built the magnificent home with its stunning views in 1913 that still stands today. It was a few years later that the same Thomas Fannin brought more than just a touch of Irish mist to the area. In April 1854, with rumors of discoveries of gold in the Cape, Transvaal and Free State making the population particularly excited, he claimed to have struck both coal and gold on “The Dargle” - a claim even the most optimistic prospector took with a pinch of salt. Most of the early settler farmers in the area established either saw mills or saw pits, supplementing this activity with the breeding of cattle, sheep and horses. Local archives abound in tales of the locals teaming up to retrieve stolen livestock from raiding Bushmen - and there are many stories of bravery, courage and the hardships endured by the settlers in those early years. The early settlers were as much attracted by the charm and beauty of the area as the present day farmers - for most properties boast tumbling streams, cascading waterfalls and abundant wild life. The reconstitution of favorite water haunts, as well as the construction of dams, has reintroduced both Brown and Rainbow trout to the area - making it a fly-fishing paradise. Info courtesy of the Boston Bulwer Beat History Archives. 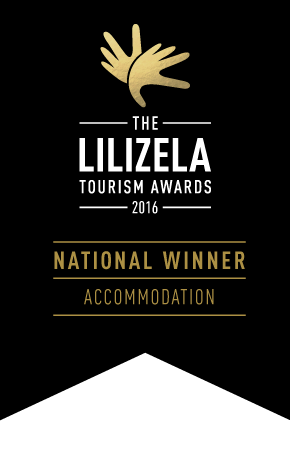 The charming area of Dargle is situated in the rolling hills of KwaZulu-Natal's Southern Drakensberg. “Beverley Farm”, which is on the famous Midlands Meander, lies on the upper regions of the beautiful Dargle valley, 27km from Howick and a mere 1.5 hours drive from Durban. It’s closely located to Lions River, Lidgetton and Nottingham Road. Dargle has retained its original charm and is a great spot for a wonderful, relaxing breakaway. For the traveler interested in art, culture and great dining, the Midlands Meander should be top of the list. This haven for artists is home to many studios, shops and galleries, and tourists can enjoy watching the artists at work. The products that are created by these talented artisans are on sale, with some of them including leather-ware, paintings, sculptures and stained glass. This thriving destination is growing at an accelerated rate, but still retains its wonderfully tranquil atmosphere. It is said that Dargle is home to many master crafters and stores of the route. Nature lovers are in for a treat when visiting the Midlands countryside. The green rolling hills are home to a wide variety of bird species, and the views of the Dargle Valley and surrounds are quite spectacular. Enjoy the fresh country air, and let nature entertain you. 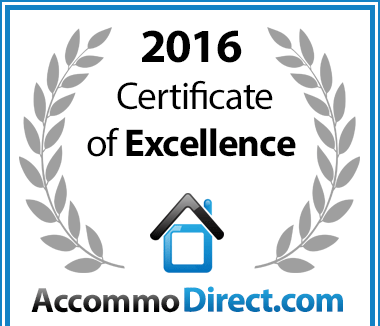 In recognition of exceptional service Beverley Country Cottages in Dargle, Midlands is hereby awarded a Certificate of Excellence.